Totem Star recording studio, at Youngstown Cultural Arts Center, provides a place for young people to tell their stories through music. 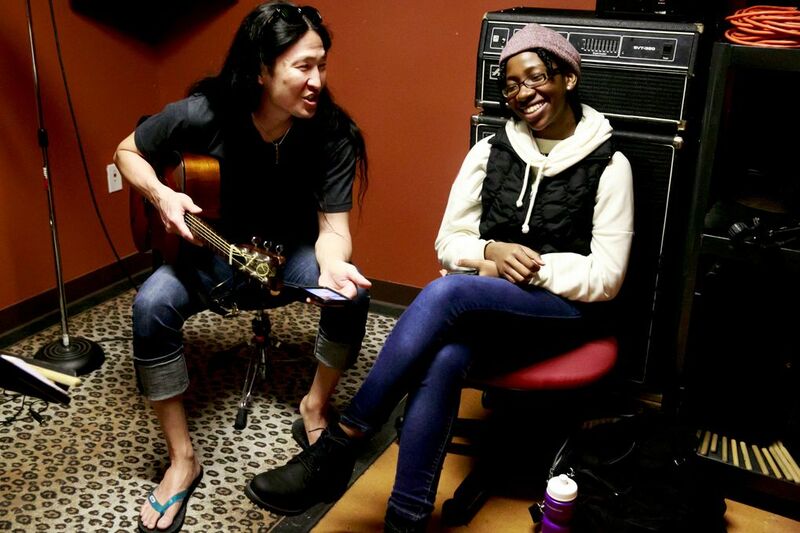 Music producer Daniel Pak helps compose a guitar accompaniment with Alyssa King, 18, on her R&B song “Bluebird” inside Totem Star’s recording studio at Youngstown Cultural Arts Center in West Seattle. The freshman at University of Washington, Bothell, commutes more than two hours by bus to attend sessions at Totem Star. In 2010, Pak co-founded the nonprofit with musician Thaddeus Turner to develop leadership, civic engagement and community by offering mentorship in music production and performance. They work with youth who have little — or no — access to music education and help them amplify their voices, ideas and perspectives. “Every time one of the Totem Star artists comes to the studio and entrusts us with that responsibility to take care of their story, their history, what they’re going through — that, to me, is the greatest gift in the world,” Pak said. Totem Star is built through three core programs: the studio, the stage and the story. 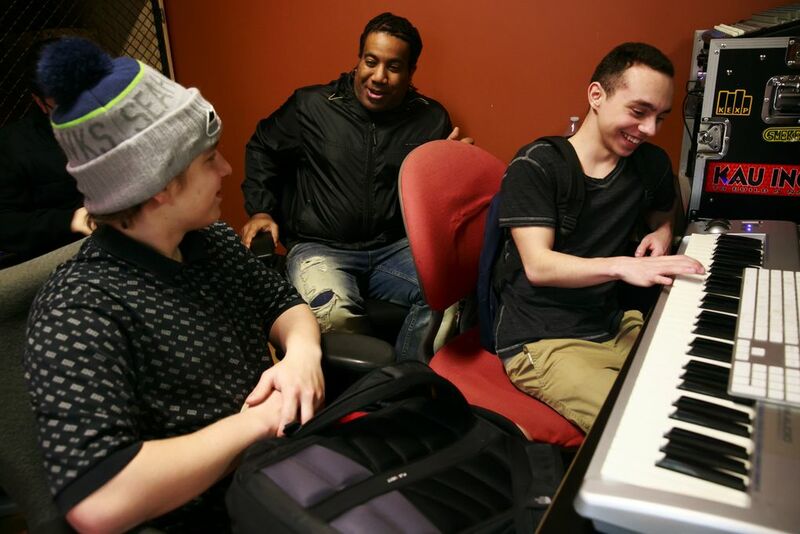 Each week, young people can book time to work with mentors in the recording studio. Quarterly open-mic and youth-art showcases give students experience performing in front of an audience. Totem Star also brings in popular artists such as Prometheus Brown of the Blue Scholars, and Catherine “Cat” Harris-White of THEESatisfaction, for intimate storytelling hours. “I do believe that music is a universal language and that it does definitely unify different communities and different people,” King said. On May 3, Totem Star will be one of many nonprofit organizations partnering with the Seattle Foundation’s GiveBIG — a one-day, online philanthropy event. For more information, visit totemstar.org and givebig.seattlefoundation.org.